Glide through the sky as you take in the wondrous scenery surrounding of Bukit Bubus, and the beautiful Terengganu coastline. 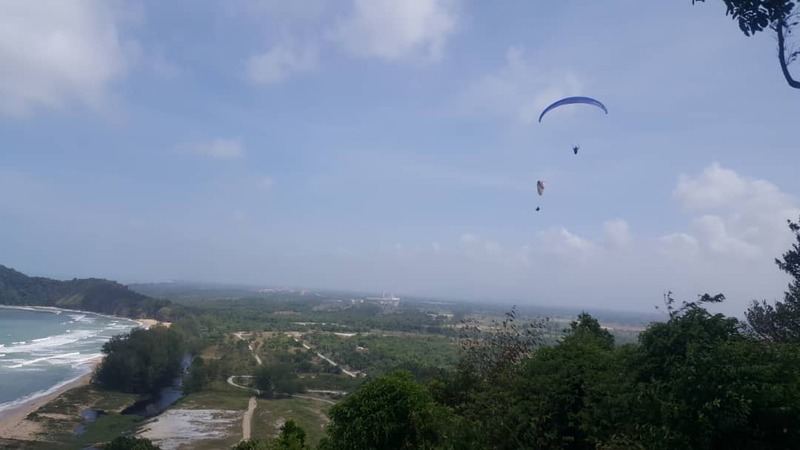 Located in Terengganu, Bukit Bubus is a popular spot for paragliding in the state. Since it is close to the sea, taking a leap from this peak will send you flying across one of the most beautiful beaches in Malaysia. It was where the International Paragliding Competition was held in 2017. This tandem paragliding session will last about 5 to 8 minutes. No experience needed.